Update, March 16: New marketplace content. Minecraft’s latest marketplace release adds five new worlds, and four new skins. Everything in mod-eration. Even mods! 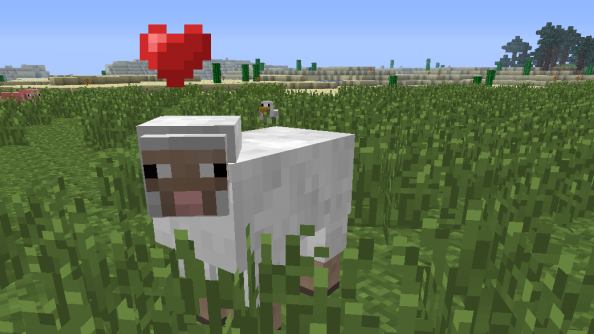 Check out our list of the best Minecraft mods. Original story, March 12:Minecraft Update 1.2.11. 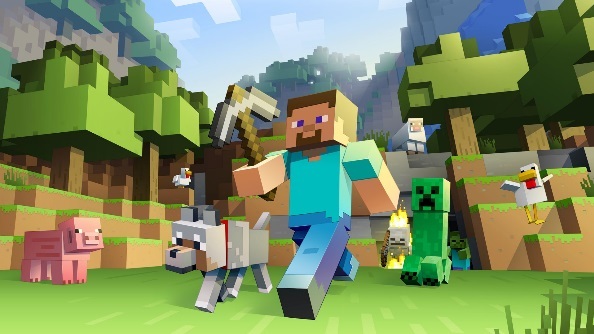 The latest patch for Minecraft’s Bedrock Edition is Update 1.2.11, increasing the speed of growing crops, re-adding the ‘Beam Me Up’ achievement, as well as introducing a host of much-needed bug fixes and quality of life perks. Minecraft Bedrock Edition Update 1.2.11 was released on March 8, 2018. Friendly fire (PvP) can now be toggled from world options. Adjusted vertical look acceleration when using a controller. Fixed a crash that occurred when firing projectiles. The ‘Beam Me Up’ achievement can once again be unlocked. Starting map and bonus chest can no longer be toggled for template worlds. Increased the speed of crop growth and grass spreading. Vines that don’t have a support block will no longer float in mid-air. Players can no longer jump out of minecarts using the default jump button if it has been bound to a different button. Minecarts no longer collide with adjacent minecarts on separate tracks. The map owner’s icon is now sorted to the top of the map. When elevated, directional blocks now always face upwards, regardless of the player’s coordinates. Maps can now be held simultaneously in the main hand and offhand. Pistons no longer get into a state where they pause, activate randomly, and potentially crash the game. Sticky pistons and slime blocks can no longer pull and break comparators. Shulker boxes will no longer be dispensed as items if the dispenser is obstructed. Burned out redstone torches will no longer reactivate until they receive a block update or are replaced. Reduced the explosion range of Creepers. Endermen that are aggravated will now take fall damage as they should, no longer breaking ender pearl farms. Fixed an incorrect amount of wool blocks that can be dyed in the recipe book. Made it easier to invite friends to games. Removed unnecessary text from map tooltips in the inventory. Minecraft Bedrock Edition Update 1.2.13 is an upcoming patch to Minecraft, however it currently does not have a release date. The patch is currently being rolled out to the Minecraft beta in stages, with 1.2.13.6 being the latest version. Windows 10 players can opt in and out of the beta from the Xbox Insider Hub App. However, while previewing the beta, you will not have access to realms or be able to join non-beta players. It’s also worth noting that beta builds are likely to be unstable and finished releases may not include all the changes and fixes from the beta. Make sure you backup your world before joining the beta. Fixed several crashes that occurred during regular gameplay. Fixed a crash that occurred when opening the furnace screen during vertical split-screen. Fixed a crash that occurred when opening the crafting table screen while in Survival mode.